Dream Island or Taman Inspirasi Mertasari is a lovely and shady garden, surrounded by peaceful environment, white sandy beach, natural swamp, and green mangrove forests. 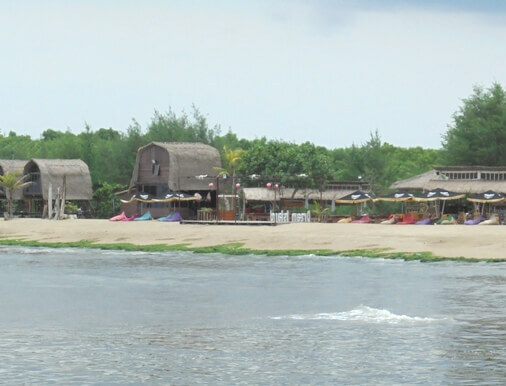 This spot is managed by Desa Adat Intaran, located in Pengembak Beach (west of Mertasari Beach Sanur), precisely in Sanur Kauh Village, South Denpasar District, Denpasar City, Bali. Previously, this place was an empty land with scrub and also rubbish. Then the Desa Adat Intaran along with local community agreed to build the Taman Inpirasi Mertasari (Dream Island) in 2014, and this takes two years to complete (Source: SKK-Ganto.2017.Edition No.199, by issuu.com). From the parking area, visitors will walk past the wooden bridge to the garden. You will be charged an entrance fee (the price may change and the last is less than $ 2 or IDR 20,000-25,000), where the voucher can be redeemed at the restaurant for welcome drink and snack. This place is perfect for family holidays on weekends. 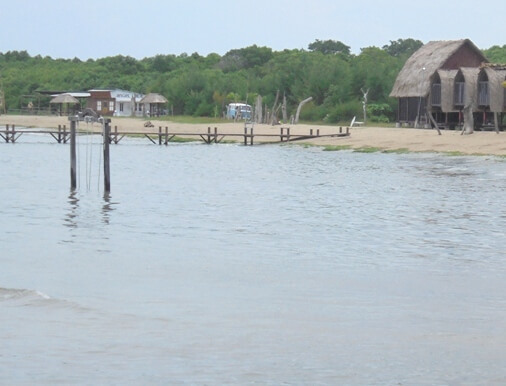 You can try the activities it has to offers, such as: canoeing, stand-up paddle board, camel and horse rides, bike ride, wind-surfing, kite-surfing, and more. Visitors can also choose a more relaxed activity while sitting and enjoying the beach scenery, playing with the children, sunbathing and soaking, or enjoying the shady atmosphere in the hammocks tied to the trees. You can also try the spa (dream ocean spa) in the beach huts with traditional architectural style and enjoy the refreshing feel of nature. In addition, this place is also endowed with beautiful sunset, calm blue sea, and awesome views to the Port of Serangan Island. You will experience a slower life pace, a laid back and more soothe atmosphere. This place is also recommended for photography lovers. Many interesting and beautiful spots can be explored. 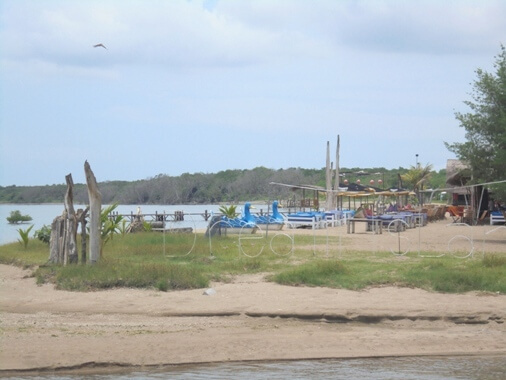 One of them is the beach swing with a sensation swinging over the water, a wide sea view, and the port from a distance. In addition, some couples also done their pre wedding photo-shoot here.